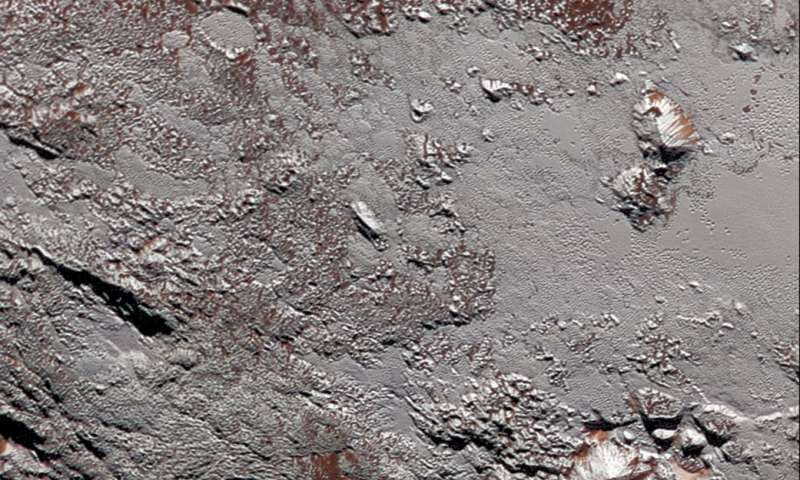 "These objects need to be considered as potential reservoirs of water and life," said Prabal Saxena of NASA's Goddard Space Flight Center in Greenbelt, Maryland, lead author of the research published in Icarus November 24. "If our study is correct, we now may have more places in our solar system that possess some of the critical elements for extraterrestrial life." The orbit of any moon will evolve in a gravitational "dance" with its parent object to achieve the most stable state possible – circular, aligned with the equator of its parent, and with the moon spinning at a rate where the same side always faces its parent. Large collisions between celestial objects can generate moons when material is splashed into orbit around the larger object and coalesces into one or more moons under its own gravity. Since collisions occur in a huge variety of directions and speeds, they are unlikely to produce moons with perfectly stable orbits initially. As a collision-generated moon adjusts to a more stable orbit, mutual gravitational attraction causes the interiors of the parent world and its new moon to repeatedly stretch and relax, generating friction that releases heat in a process known as tidal heating. The team used the equations for tidal heating and calculated its contribution to the "heat budget" for a wide variety of discovered and hypothetical TNO-moon systems, including the Eris-Dysnomia system. Eris is second-largest of the currently known TNOs after Pluto. 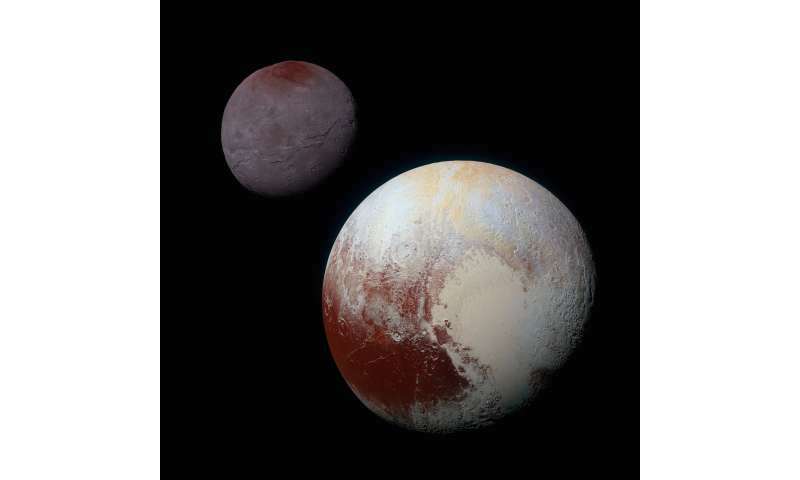 "We found that tidal heating can be a tipping point that may have preserved oceans of liquid water beneath the surface of large TNOs like Pluto and Eris to the present day," said Wade Henning of NASA Goddard and the University of Maryland, College Park, a co-author of the study. "Crucially, our study also suggests that tidal heating could make deeply buried oceans more accessible to future observations by moving them closer to the surface," said Joe Renaud of George Mason University, Fairfax, Virginia, a co-author on the paper. "If you have a liquid water layer, the additional heat from tidal heating would cause the next adjacent layer of ice to melt." Although liquid water is necessary for life, it is not enough by itself. Life also needs a supply of chemical building blocks and a source of energy. Deep under the ocean on Earth, certain geologically active places have entire ecosystems that thrive in total darkness because hydrothermal vents called "black smokers" supply the needed ingredients in the form of energy-rich chemicals dissolved in superheated water. Tidal heating or heat from the decay of radioactive elements could both create such hydrothermal vents, according to the team. When such oceans are found? There is a very good chance that they will be sterile varieties of H2O. Possibly with a few other liquefied gases mixed in. However, the speculations of lifeforms in this article. Displays a deliberate attempt at double-think, Cause the only oceans we know of, with lifeforms? Are saturated with salts and other minerals. Constantly eroding biologically manufactured soils that in turn make possible our ocean ecology.